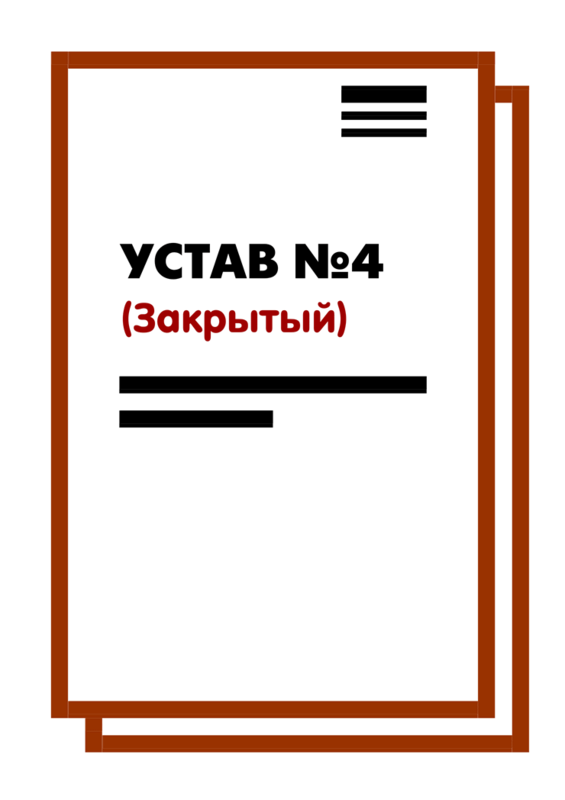 The Charter of LLC №4 (Closed) for societies with investors. The company is closed for entry and exit of participants upon request. 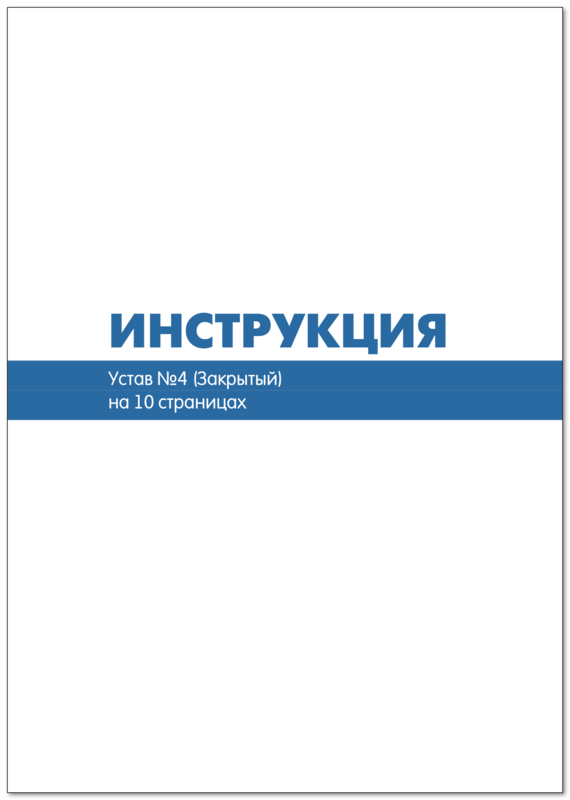 The charter on 10 pages, besides the selected rules of dispositive norms, contains a part of the mandatory rules of law. Particular attention is paid to the provisions on the rights and obligations of the participants and the competence of the general meeting. The charter is created without internal and external links. 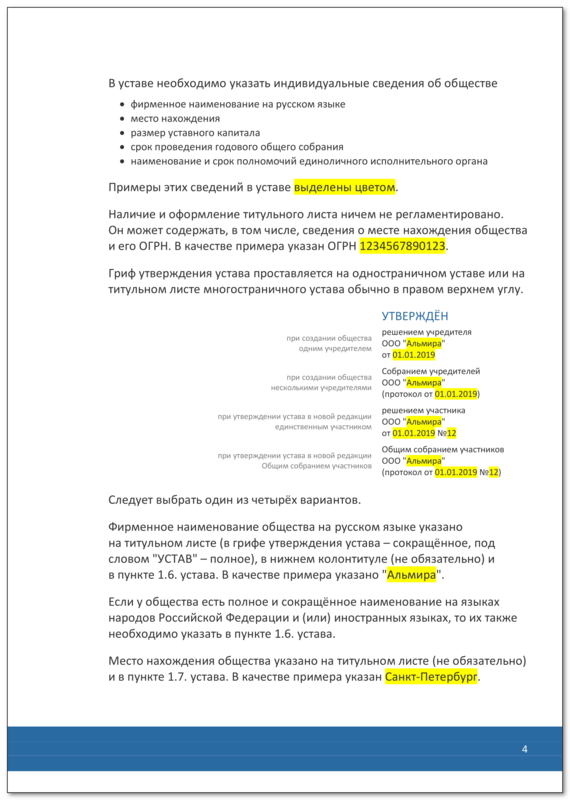 Complies with the legislation of the Russian Federation on January 1, 2019. Other provisions of the law, allowing the statute to provide otherwise, remain unchanged. 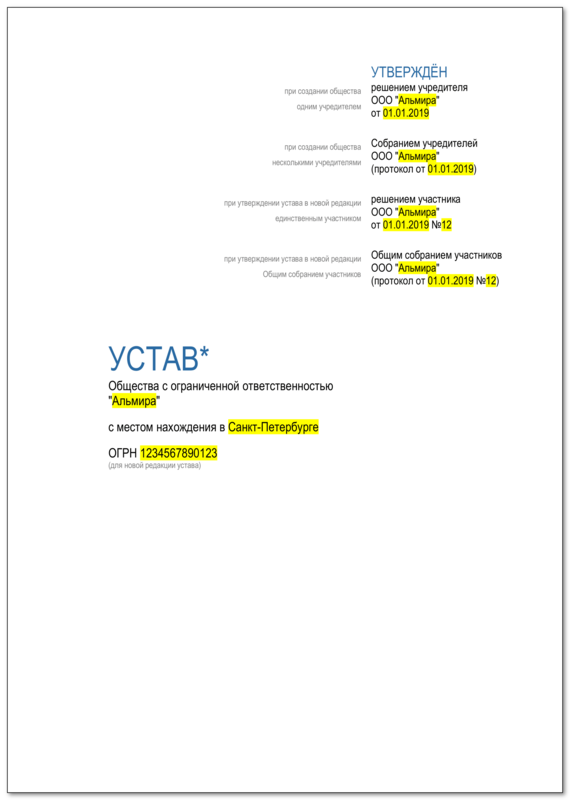 The rules used in the statute are compiled in the enclosed booklet "The full content of the statute". The kit includes instructions for registration of the statute. 3. 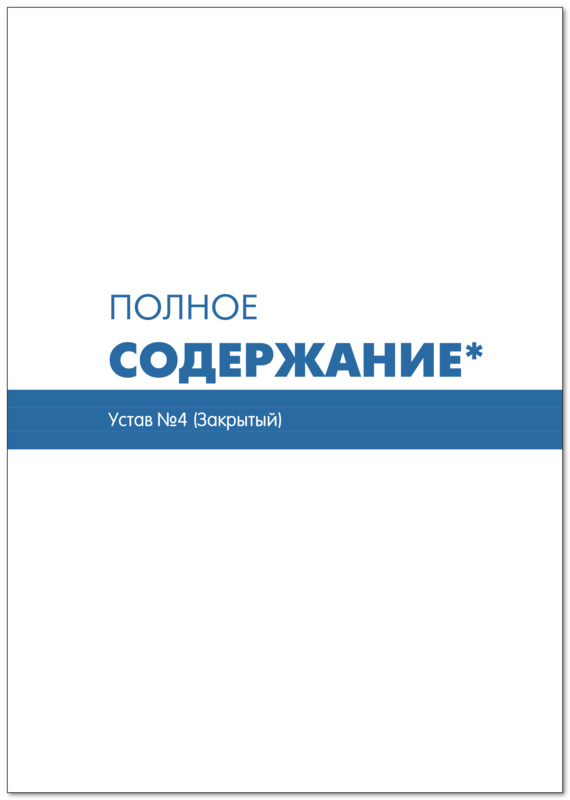 Brochure "The full content of the statute"